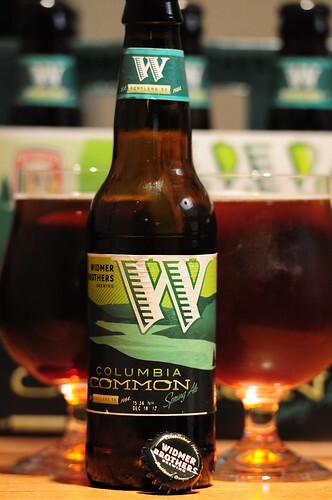 Widmer Columbia Common Ale, originally uploaded by adambarhan. A – Clear copper color with a one-finger, off-white head of foam, left lacing on the glass. S – Floral with a malty/bready backbone. T – Kinda spicy with some sweet bread and caramel. M – It was crisp, sharp and smooth. A light to medium bodied ale with a dry, clean finish.